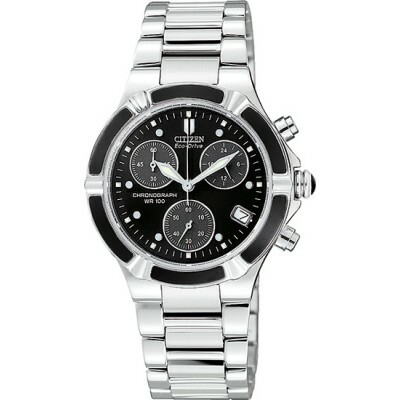 Black Dial with silver tone Luminous hands and markers. Inlaid Black Bezel and Subdials. Chronograph measures up to 60 minutes. Eco Drive - charges in sunlight or indoors. Never need to change the battery. 150-day power reserve with full charge. Case measures 31mm wide by 10mm thick.